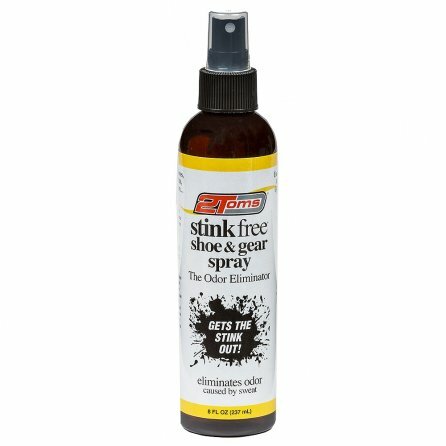 The 2Toms 8oz Stink Free Shoe and Gear Spray is guaranteed to absolutely remove all unwanted odors. The unique formula cleans the pores that are trapping the odor inside your shoes and gear. The formula also has no perfume so it doesn't leave a fragrance behind. All you have to do is spray the item, let it air dry overnight and sniff it in the morning. If one night didn't do it, repeat this process until the smell is gone.